Rent Cincinnati’s most unique photo booth, “JULEP” the vintage camper photo booth. Let us bring Julep to your next event and give your party guests a whole new photo booth experience! Julep is beautifully decorated inside where you will find a unique photo booth housed inside a vintage 1950’s television set and bench seating that will fit 6 or more guests at a time! Julep is air conditioned. 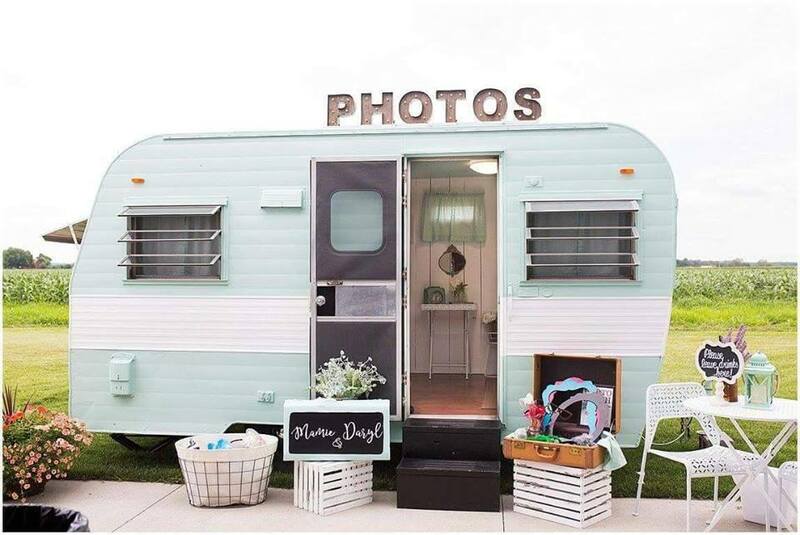 The photo strips are larger than our standard strips to allow larger photos, and when finished will print and drop into a mailbox on the outside of the camper. This keeps the line of guests flowing the entire event. The outside of the camper will be staged with table and chairs, props, and lights for evening events. No need to worry about access to electricity, we bring our own generator! View our other Photo Booths styles.